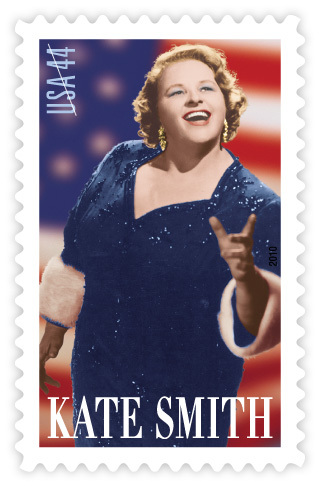 The Philadelphia Flyers are working with the US Postal Service to unveil a stamp of legendary singer Kate Smith at the Spectrum this month. As The Inquirer recalled yesterday, Smith performed “God Bless America” before the Flyers played the Boston Bruins in Game 6 of the Stanley Cup Finals in 1974. And she’s been a good luck charm ever since because the Flyers won that game and the series. If only the Philly players could take the tune on the road, maybe play with their iPods on or something. They’ll need it against the Bruins in Boston, where they haven’t won a playoff game since 1976.